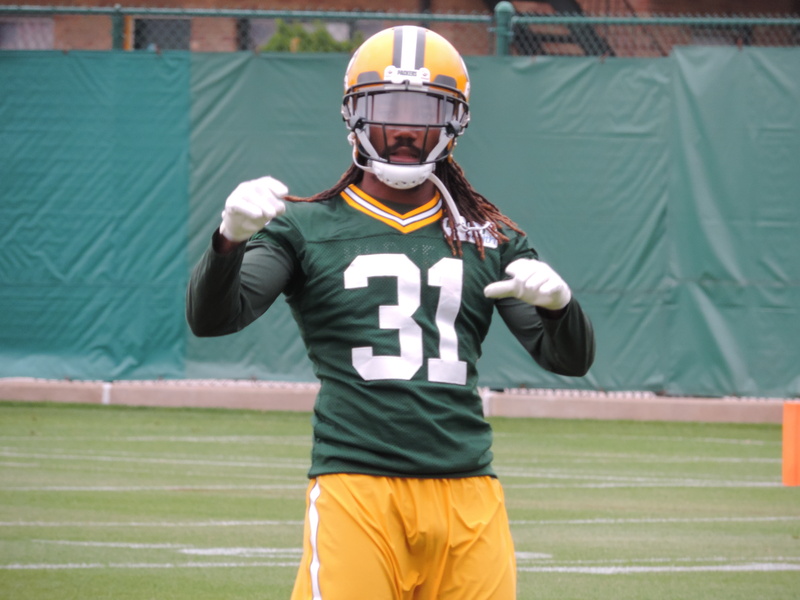 Packers corner Davon House is headed for I.R. Green Bay Packers veteran cornerback Davon House is expected to undergo shoulder surgery, which will end his season. ESPN.com reported Tuesday that House will be placed on injured reserve. The report also said the Packers are expected to sign former Washington Redskins defensive back Bashaud Breeland as early as Wednesday. Breeland signed a three-year, $24 million deal with the Carolina Panthers during free agency, but that contract was voided after he failed a physical. The Packers re-signed House to a one-year deal this year after he played in 12 games last season. He originally started his career with the Packers as a fourth-round pick in 2011. He signed with Jacksonville in 2015. The Green Bay Packers made official on Friday, the signing of defensive back Davon House to a one-year contract and the release of linebacker David Talley. House was a fourth round draft pick of the Packers in the 2011 draft. 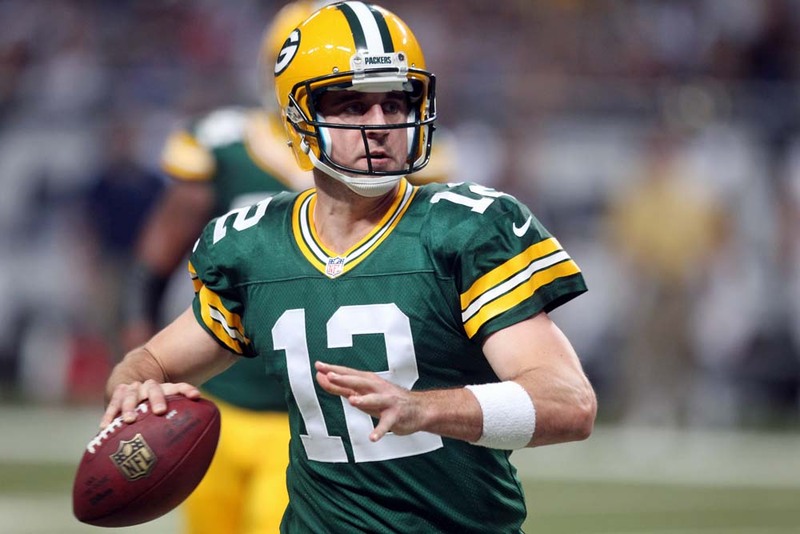 He has played in 84 career games with 45 starts with the Packers, including 12 starts last season. 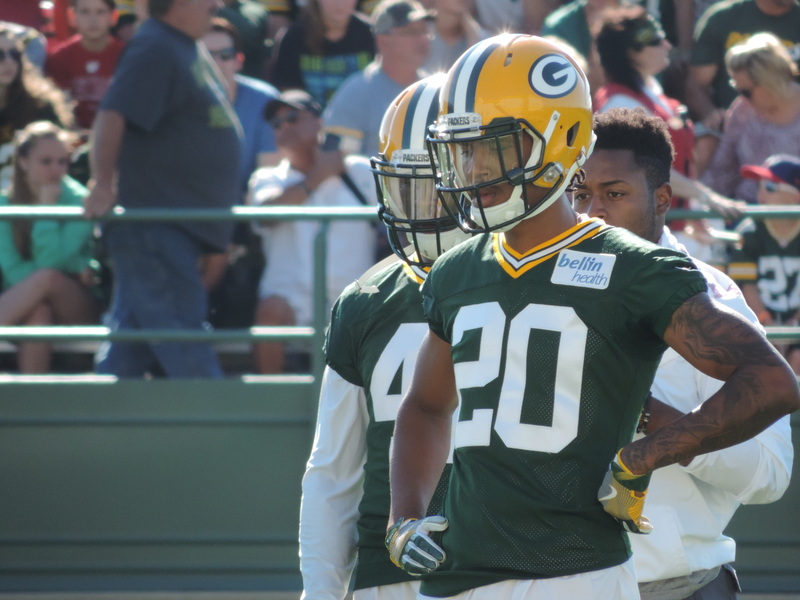 House dealt with hamstring, thigh, back and shoulder injuries last season, but was an excellent locker room influence for the teams other young corners, including the team’s top pick a year ago, Kevin King. House gave up three touchdown passes last season and tied with Damarious Randall for most passes of 20 or more yards allowed with five. But he finished with four missed tackles, which was the second-fewest of any of the team’s top defensive backs. House had his best season in 2015, finishing with a league-high 23 pass break-ups and four interceptions with Jacksonville. Davon House ruled out of tonight’s game with Chicago. Green Bay Packers starting tackles, David Bakhtiari and Bryan Bulaga are both listed as doubtful for tonight’s game against the Chicago Bears at Lambeau Field. Bakhtiari hasn’t played since the season opener against Seattle, when he strained his hamstring. Bulaga aggravated his sore ankle in last Sunday’s win over the Cincinnati Bengals. The problem for the Packers is depth. Kyle Murphy (foot) and Jason Spriggs (hamstring) have both been placed on injured reserve. Justin McCray got some playing time at right tackle but has little experience on the left side, which is where he will likely be if the two starters can’t go tonight. Bakhtiari and Bulaga both practiced the last two days but both were limited. Bakhtiari wants to make sure when he returns, he’s back for good. Coming back too soon and then not being able to stay on the field isn’t something he wants to go through. Adam Pankey started the season on the Packers practice squad. There’s a chance he could be starting tonight as well. The Packers added some backup help when they signed Ulrick John off of Arizona’s practice squad. It appears that wide receiver Randall Cobb will play on Thursday night. On defense, both Nick Perry and Mike Daniels are questionable. Perry would be playing with a club cast on his broken hand. Davon House (quadriceps) is the only player that has been ruled out of the game. 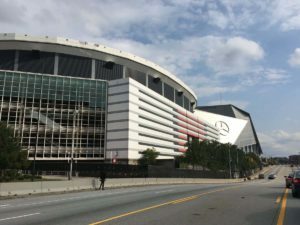 The Green Bay Packers were already playing without a significant disadvantage when both of their offensive tackles, David Bakhtiari and Bryan Bulaga were held out of Sunday nights game in Atlanta. Then take away Mike Daniels (hamstring) and Jordy Nelson (quad) in the early part of the game and the task became next to impossible. The Packers started the second half trailing 24-7 but had the ball. That’s when quarterback Aaron Rodgers was hit from behind with his pass ruled behind the line of scrimmage. 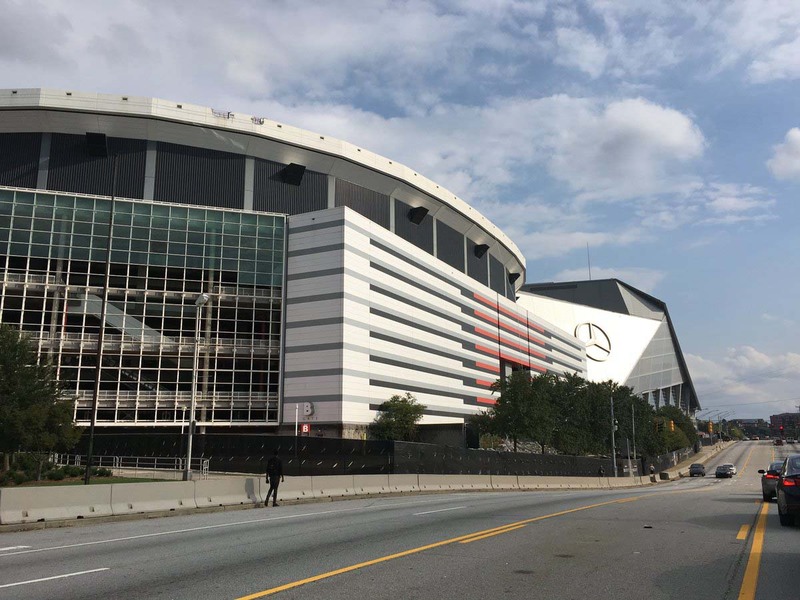 Atlanta’s Desmond Trufant scooped up the loose ball and rumbled 15 yards for a touchdown that would put the Falcons up 31-7, on their way to a 34-23 victory over the Packers in the first game at new Mercedes Benz Stadium. The Packers went with second year offensive lineman Kyle Murphy at left tackle and Justin McCray at right tackle. The Green Bay Packers are getting ready for their exhibition opener against the Philadelphia Eagles on Thursday night at Lambeau Field. They’ll likely play without a handful of starters, including defensive back Davon House, who watched practice Monday on the sidelines, dealing with a hamstring injury. Missing time isn’t a terrible thing for House, having already played in Dom Capers system before. House did say he would like to return as quick as possible to help build chemistry with the young members of the Packers secondary. His absence will create more opportunities for the young stable of defensive backs like top pick Kevin King, as well as 3rd year defensive backs Quinten Rollins and Damarious Randall. The Green Bay Packers now have three of their first four draft picks sidelined in training camp by injury. Top overall pick Kevin King sustained a shoulder injury and didn’t participate in Tuesday’s practice. The 33rd overall pick in the draft had been working in practice with the number-one defense. He was selected to help a pass defense which finished 31st in the league last season. King joins 3rd round pick Montravius Adams had foot surgery on Tuesday to repair a stress fracture. Fourth round pick Vince Biegel (Wisconsin) started training camp on the P.U.P. list after undergoing foot surgery in the offseason. Without King, Quinten Rollins teamed with Davon House as the two corners in the base defense on Tuesday while Damarious Randall was anchored in the slot. 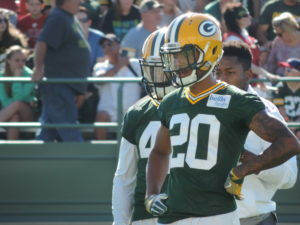 The Packers used their top four draft picks on defense and only second-round selection Josh Jones was on the practice field on Tuesday. He’s off to a great start in training camp, continuing to make impact plays on a daily basis. Davon House makes it back to Green Bay for OTA workout on Tuesday. Green Bay Packers defensive back Davon House was on his way to Green Bay for the next round of OTA’s, when he missed his connecting flight from Minneapolis to Green Bay. House tweeted his frustration and a pair of Packers fans decided to lend a helping hand. Chad Johnson (Eau Claire) and his brother Mike Johnson (Hudson) tweeted at House that they would give him a ride to Green Bay. House gladly accepted. Mike Johnson picked up House at the airport and then he and House picked up Chad on Highway 29. The two brothers kept each other awake while House got some rest to be ready for Tuesday’s workout. The two brothers delivered House to his vehicle, which was parked at the airport in Green Bay and were ready to head back home. That’s when House invited the Johnson’s to Lambeau Field, at 3:30 in the morning, for a tour, some pictures and a look inside the locker room. House also forked over $80 in gas money and wanted to give them more, but the Johnson’s refused. House signed a one-year deal with the Packers worth $2.85 million. The deal also included a $150,000 workout bonus, which provided plenty of incentive to be back for Tuesday’s voluntary OTA. Packers coach Mike McCarthy was impressed with House’s commitment to get back to Green Bay for the OTA. 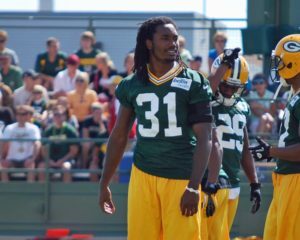 Green Bay Packers defensive back Davon House is returning to Green Bay and will sign a one-year contract with the team. House played his first four NFL seasons with the Packers, then left in free agency in 2015, signing a four-year, $24.5 million deal with the Jacksonville Jaguars. The Jaguars turned around and released House after last season, saving $6 million in salary cap space. The Packers, whose pass defense ranked 31st in the NFL last season, showed immediate interest. The Packers released their top cover corner, Sam Shields after he suffered a concussion last season. 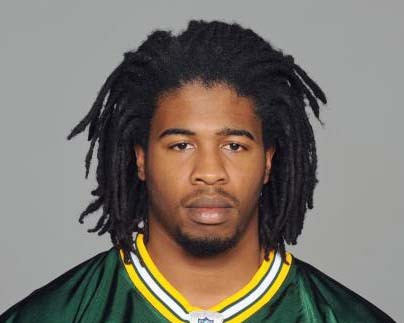 The Green Bay Packers lost another unrestricted free agent yesterday when linebacker and special teamer Jamari Lattimore signed a deal with the New York Jets. Lattimore played four seasons with the Packers and had a career high 39 tackles and an interception in 2014. Lattimore played 11 games last season. He finished the season on injured reserve after an ankle injury. Lattimore’s departure leaves the Packers even thinner at inside linebacker. The Packers starters at the moment are Sam Barrington and Clay Matthews. None of their backups, Joe Thomas, Nate Palmer and Carl Bradford have any regular-season game experience. The Packers have lost three unrestricted free agents now. Along with Lattimore, Tramon Williams signed with Cleveland and Davon House with Jacksonville.